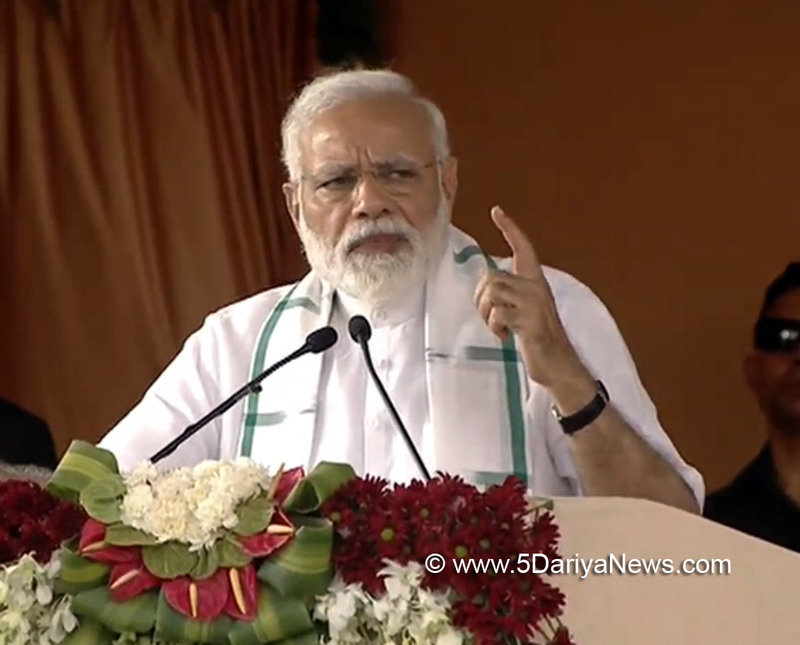 Prime Minister Narendra Modi on Wednesday stressed that a diverse India will not progress if regional aspirations are not fulfilled and said that only the BJP-led NDA can do this.Addressing a public rally near here along with leaders of the BJP allies, Modi also announced the renaming of the Chennai Central Railway Station as Dr. M.G.R. Railway Station.He also said that announcements will be made in Tamil on flights originating from and departing to Tamil Nadu. "India is a diverse nation. India will never progress till regional aspirations are met," said Modi, days after the Bharatiya Janata Party became a formal member of the AIADMK-led alliance.He said the Congress and its allies can never meet regional aspirations because it had a culture of "high command" that catered to the Gandhi family.Modi said the Congress had insulted strong regional leaders and cited as example the late Tamil Nadu Chief Minister and Congress leader K. Kamaraj.According to Modi, Kamaraj's crime was that he spoke for the people and he was insulted by the Congress for that. "If there is one party that has abused Article 356 repeatedly, it is the Congress. If the dynasty does not like the leader, the government is dismissed. "He said the Congress imposed Article 356 many times, with 50 state governments dismissed by the late Prime Minister Indira Gandhi alone. "The democratically elected government of MGR (M.G. Ramachandran) was dismissed by the imposer of Emergency because of political difference. Even DMK was a victim of Congress hatred for regional aspiration. For DMK, opportunism prevailed over values," Modi said.